Are you privileged? How do you know if you are privileged? At one point in time, the color of your skin was a reason limiting privilege. However, we live in different times where privilege is determined by factors besides your race. Some people are unaware that they are benefiting from privilege. A careless attitude regarding your benefits from your privilege leads to entitlement. Entitlement can kill any hopes of growth and productivity because entitlement is a person feeling they have a right to something. See How to Avoid the Trap of Entitlement (click link) from a past blog. Privilege is basically having an advantage. If we have been blessed with an advantage, please take advantage of the privilege and help others who may not have a privilege. We all at some point in our lives need the help of someone else. As a child, I had a humble beginning growing up according to the standards of the United States. Having said that, even the lowest level of living in the USA is a privilege compared to some friends in third world countries. It’s all about perspective. Without the right perspective, it will be hard to recognize if you are privileged or not. How can you have the right perspective? Those who appreciate their advantage will not complain about what they don’t have, but focus on what they do have. These people will also go out of their way to help others discover their very own advantages within their reach. 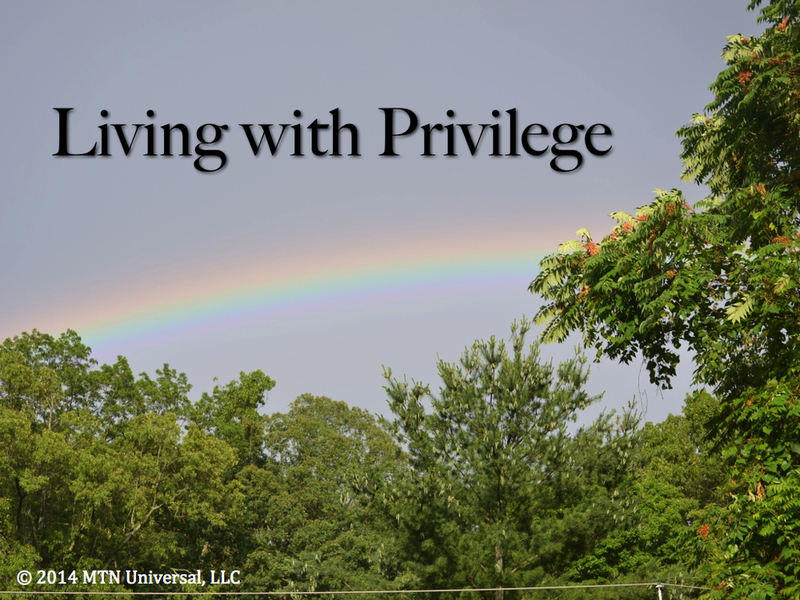 There are a few things to remember if you are going to take full advantage of your privilege. Many of us are privileged. Start helping someone else discover their own advantage and privilege. Before I close, I would like to share one more bit of information that may help you. One my greatest privileges is having Christ Jesus as my LORD! Question: Are you privileged? List one reason why you are privilege. Leave your comments below.